Brands are now scrambling to find new organic methods to reach their audience after Facebook has announced that page posts may have zero reach in the feed. However - it is not all doom and gloom - there is a solution - employee advocacy! Facebook’s original purpose was to encourage personal connections - a way for us to converse with people from anywhere around the world, a great platform for businesses to reach their target audience. 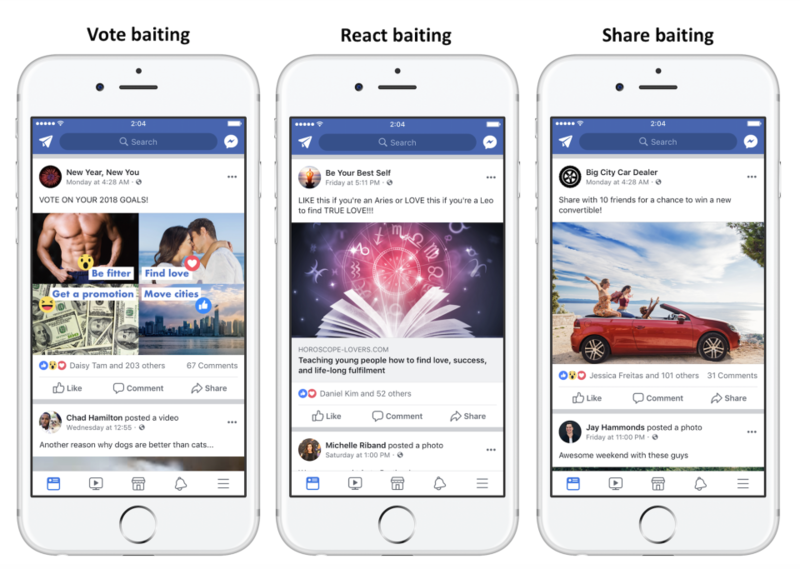 Unfortunately, in the last few years, Facebook has received a multitude of complaints about brand posts dubbed as 'engagement bait' showing up in users news feeds. The recent algorithm changes announced by Facebook CEO, Mark Zuckerberg, has caused quite a stir among business owners and the like, especially those who have invested heavily into growing their Facebook Page Likes through paid advertising. Likes from people who soon won't be able to be reached, as Facebook tries to return to its original purpose, to centre the network around friends and family and to make personal, engaging and interactive posts more precedence over promotional posts. "The research shows that when we use social media to connect with people we care about, it can be good for our well-being. As we roll this out, you’ll see less public content like posts from businesses, brands, and media. And the public content you see more will be held to the same standard — it should encourage meaningful interactions between people." Facebook Page Posts will have lower authority in the feed. Business page posts that drive authentic social interaction and helpful advice will reach more of your audience. Engagement bait posts that drive inauthentic engagement with call to actions such as, 'share', 'vote', ‘like this’, ‘comment here’, ‘watch this’ and inauthentic content will now be demoted in the feed and will reach less of your audience. How can you increase your reach, drive traffic to Your website in alignment with the new Facebook algorithm changes? Your employees. Your employees are going to play a pivotal role in sharing your company's message with their network. Based on the update to the Facebook Algorithm now dubbed as ‘Facebook Zero’, employee advocacy is an effective way to increase reach by communicating with friends and family, increase trust as people are more likely to listen to other people rather than a brand, and in increase engagement. One of the simplest ways for your audience to be reached is through your own employees. Studies show time and time again that people will trust advice and recommendations from other people that they know and trust. For example, Nielsen’s 2015 Global Trust in Advertising study found that the most credible form of advertising came from other people. Approximately 80 percent of respondents to the study said they trust the opinions or recommendations of family and friends. By leveraging your employees, you will be able to reach your target audience organically. Your employees are the only group of people who are going to know your business inside and out. They are going to be able to connect with your audience and assist with converting these connections into profitable relationships. Build an employee advocacy platform with relevant, interesting, personable and unique posts and offers in order to get the most return on your efforts. Chances are your employees are already going to be a part of many different communities in their social media platforms. It is important to analyse these different communities and then devise a strategy to target these communities in the most effective way possible to get your message across and encourage engagement. 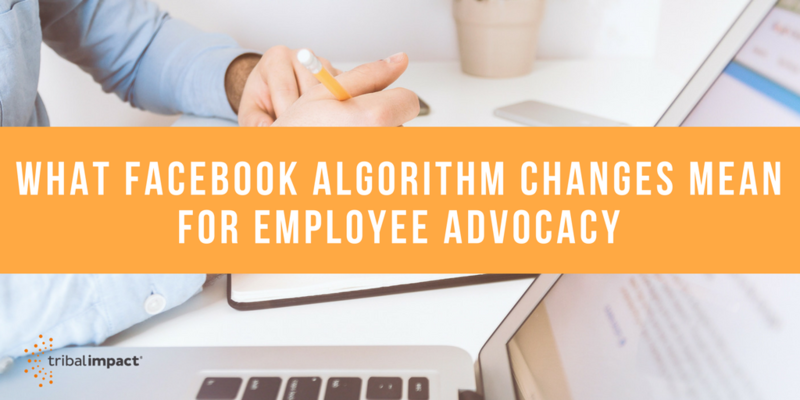 With the new algorithm, your social media strategy may have to be re-visited and shared across your company so you all are working on the same initiative. Your content needs to be well-thought out and curated for your employees to make the most of attracting organic reach, comments and shares. Here are 10 Content Categories to Kick Start Your Employee Advocacy Program. From August 1st 2018, you will no longer be able to share content to your Facebook profile from a 3rd party app (for instance, an Employee Advocacy tool) through the Facebook Live API. Instead of being able to share conveniently through the Employee Advocacy Tool, employees will now visit your Employee Advocacy tool to find interesting content ensuring to copy and paste the full UTM tracking link so you can monitor content performance, visit Facebook and then share directly to the platform. I am sure this is going to be the first of many major changes within Facebook in order to improve user experience and protect our privacy since the Cambridge Analytica Data Breech. With Facebook valuing the importance of authentic, helpful content - this provides deeper insight into the future of how we increase the social media reach of our company and leveraging the authentic voice of employees over traditional outbound strategies.